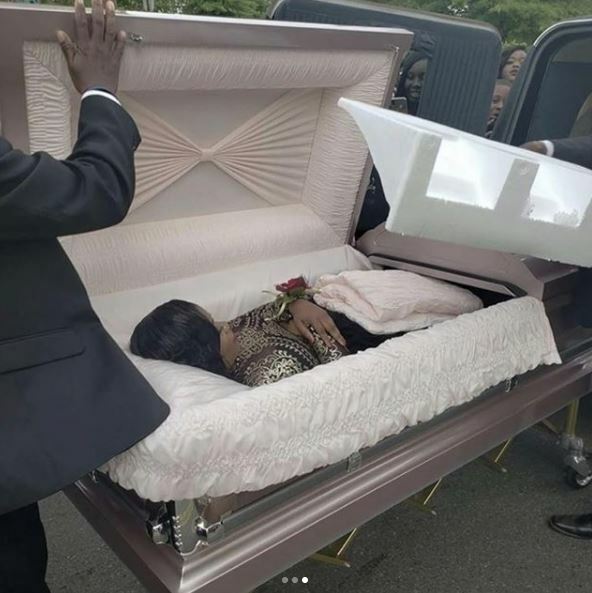 Photos have shown the moment a teenage girl arrived for her prom dressed up inside a coffin. 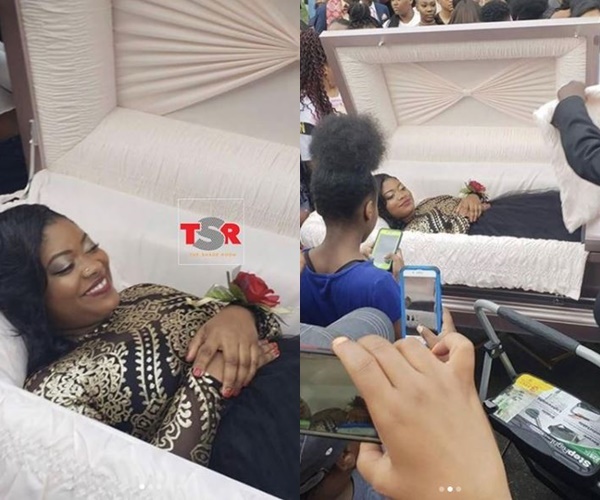 In the photos, the unnamed girl is seen with a big smile on her face as all eyes get turned on her because of the unusual stunt she pulled. 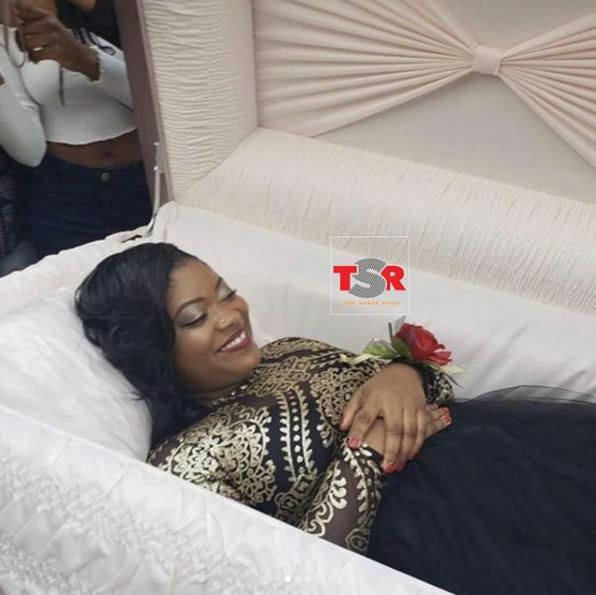 She is dressed in a black-and-gold coloured dress as she lies back, taking in all the attention. 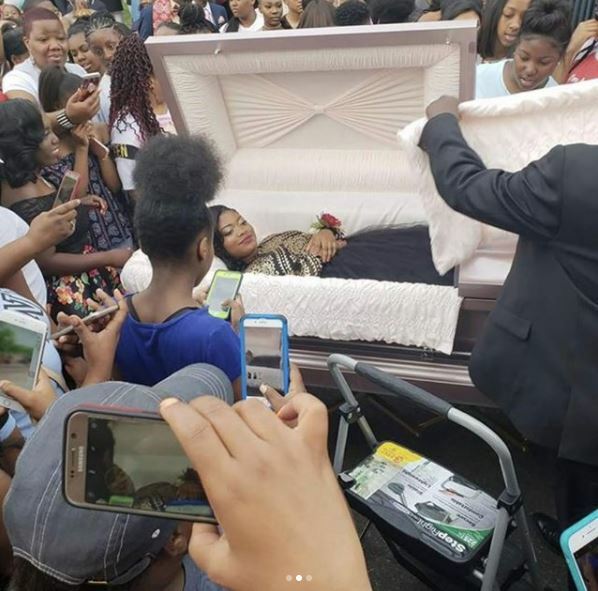 According to TheShadeRoom, the platform which shared the photos on Instagram, this was the young lady’s way of expressing herself and getting attention during prom. Tonto Dikeh’s ex, Churchill Olakunle, wishes mystery lady a happy birthday on Tonto’s birthday with interesting caption.